For the BJP, the contrast couldn't be any greater — while they're celebrating the Narendra Modi government being in power for three years — a special CBI court in Lucknow, hearing the Babri Masjid demolition case, framed charges of criminal conspiracy, inciting the mob, promoting enmity between different groups on grounds of religion and disrupting communal harmony against Union minister Uma Bharti and two of the party's senior leaders LK Advani, and Murli Manohar Joshi. What makes the contrast even greater is that for the past 25 years, the BJP has been insisting that the charges of criminal conspiracy were false and leveled against them because of "political reasons", blaming the animus of the then Congress-led Narshimha Rao government at the Centre. The BJP's spectacular growth — a negligible two seats in the Lok Sabha in 1984, which jumped to 85 seats in 1989, rose to 120 seats in 1991, becoming the country's single largest party with 187 seats in 1996 and forming a government for 13 days before finally forming a coalition government in 1998 — is attributed to LK Advani's Ram Rath Yatra from Somnath to Ayodhya. 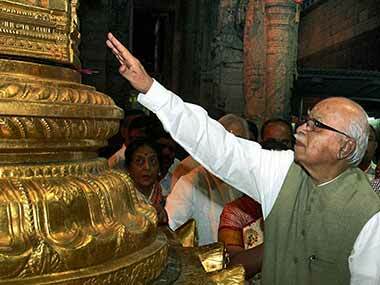 Words such as pseudo secular and Muslim appeasement were Advani's creations. During his yatra, he set the terms of political discourse. 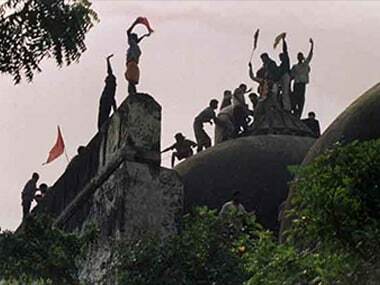 BJP leaders have long held the Ram temple in Ayodhya as an article of faith and described the Babri Masjid as a "disputed structure". They never believed that it was a place of worship for Muslims. 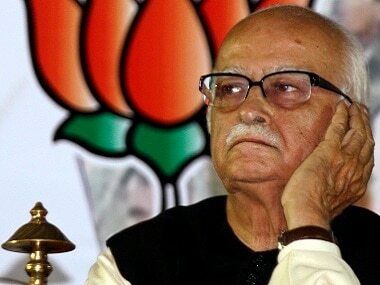 Advani and Atal Bihari Vajpayee are the BJP's founding fathers. It is precisely because of Advani's role in building the foundation of the BJP, being the principal architect of the party and its subsequent growth across the country that he is still given a place of prominence within the party. 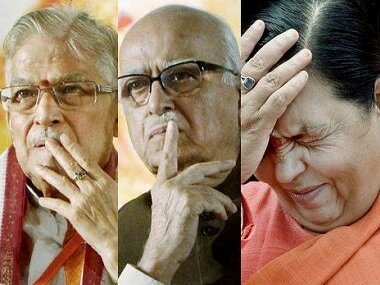 But at this very moment, when BJP has a firm grip on the levers of power at the Centre, Advani, Joshi, Bharti, and other Sangh Parivar leaders have been charged by the CBI court of grievous criminal offences. According to a report in CNN-News 18, these leaders have been charged under IPC Section 120B (punishment of criminal conspiracy) to be read with Section 153 (inciting a mob with an intent to cause riots), Section 153A (promoting enmity between different groups on grounds of religion and disrupting communal harmony), Section 295 (defiling a place of worship with an intent to insult the religion), Section 295A (deliberate and malicious acts, intended to outrage religious feelings of any community) and Section 505 (provocative statements causing public mischief). Incidentally, this is second time in past 25 years that they have been charged with criminal conspiracy. They had earlier been acquitted by the Raebareli court. However the Supreme Court turned the back the clock and revived the charges. 1. Now that Bharti has been charge sheeted, will she resign from the government? 2. What's the political fallout? Sources in BJP, including those close to Bharti, have ruled out a resignation. Finance minister Arun Jaitley earlier poured cold water on any such notion, and rejected the Congress' demand for her resignation, saying that if one was to act on a charge sheet, many Congress ministers and chief ministers would be in trouble. BJP MP Subramanian Swamy told CNN-News18 that the charge sheet was of a different nature, was not related to any case of corruption, and there was no conflict of interest with the portfolio Bharti holds. "This whole case is totally devoid of any merit," Swamy added. "There was no masjid which was demolished in the first place." 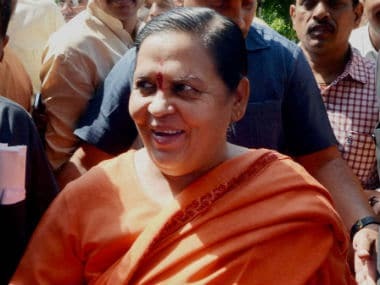 Bharti, for her part, said there was no conspiracy but an "open movement" which led to the demolition and thus there was no scope for any conspiracy. When the NDA government was in power, Buta Singh, who held the portfolio of the communication ministry, was shown the door after being charge sheeted in a corruption case. Although, the fact that Singh later had to resign as Bihar governor during the Manmohan Singh regime after being indicted by the Supreme Court, is another matter entirely. BJP leaders argue that Bharti's case is different and that the standards set by the Vajpayee government for Singh do not apply, more so because Bharti was made a minister by the Vajpayee government when she was an accused in the case. Now let's examine the potential political fallout. The most interesting thing to watch, for those paying close attention, is to see how vigorously the CBI pursues the case against the BJP top brass. Consider this — the Supreme Court ordered the CBI court to examine all witnesses, hear arguments and deliver its verdict in two years — if the special court can adhere to that time frame, the verdict should be out around summer 2019 — when the general election would be in full swing. It's anybody's guess what impact the verdict, be it exoneration or conviction, would have on the public mood. While senior BJP leaders are avoiding the subject, Chief Minister Yogi Adityanath made his position clear. After Advani landed in Lucknow and reached the VVIP guest house, Adityanath welcomed him and the two leaders discussed the issue behind closed doors. One doesn't need to be a mind reader to discern Adityanath's thoughts. He has been a staunch supporter of constructing the Ram temple in Ayodhya and is slated to visit the city on Wednesday. He will land at 9.30 am, head to Hanuman Garhi temple, later go for a ‘darshan’ of Ram Lala, attend some official programs and return to Lucknow before sundown. Today's framing of charges by CBI court against senior BJP leaders has revived the Ram temple issue in the minds of the public. Adityanath's visit will only shine a spotlight on the subject. As for the political fallout? We'll have to wait and watch.